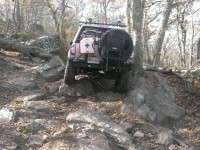 There are off-road trucks and then there are go anywhere, anytime off-road trucks. 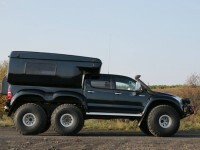 The Arctic Trucks Hilux AT44 6×5 Expedition vehicle is in the latter. 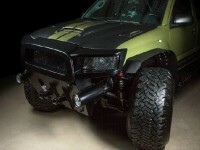 This amazing adaption of the Hilux has us drooling for a Tacoma version. 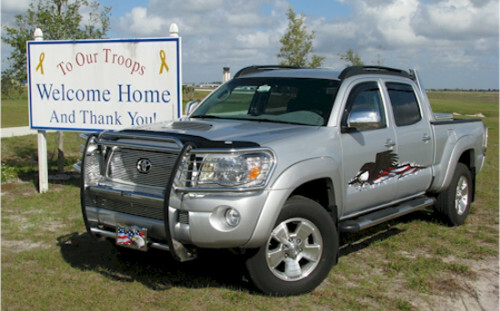 When Toyota introduced the Hilux to the U.S. years ago, they imagined people would have a great time and do many things with it. 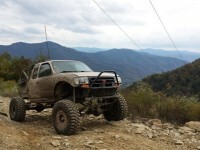 Yet, they may not have imagined this beautiful 1983 Toyota Hilux lifted show truck. We are glad someone imagined it, this thing is amazing. Every once in a while we come across a true gem on eBay.com. 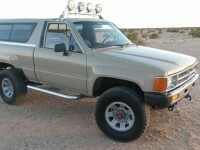 Today we present this very clean 1986 Toyota Truck with slight offroad modifications. 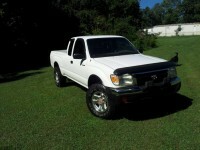 It is the perfect option for a new Toyota truck buyer or an entry-level option for an offroader. Check it out. What makes a featured truck, a featured truck? Lots of things and this truck seems to have them all! 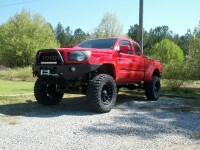 Here, for your viewing pleasure, is a 2002 Toyota Tacoma Double Cab with a great assortment of off-road mods and stunning photography. With a sound deadening cabin, 35-inch tires, swing out spare tire holder and a 50qt fridge freezer, this week’s feature truck has many cool modifications. How do you choose the best one? You can’t, they are all great features.